Another great property SOLD in Via Marina Community located at 1724 Lookout Drive in the coastal city of Oxnard CA. This 3 Bedroom 2 Bath house with over 1400 square feet of living space on a 6000 square feet lot is part of the Driftwood Swim and Racquet Club Association. I sold the property and the listing was courtesy of RE/MAX Gold Coast Realtors. The property SOLD for $440,000 at 98.8 % of asking price within a 30 day escrow period. This was a VA financed deal. Seller provided a $2,000 credit for some repairs that were needed. No other major problems occurred in this transaction. The house was in good condition which is a big plus for all parties involved. It allows for a fast and smooth transaction. The property does have an association of $70 per month and is part of the Driftwood Swim and Racquet Club Association, which grants families access to a swimming pool, jacuzzi, tennis courts and more. 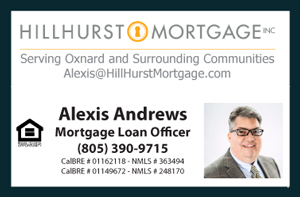 It is located near some of the best schools in Oxnard as well as coffee shops, restaurants, marketplaces and only 2 miles away from the beach.